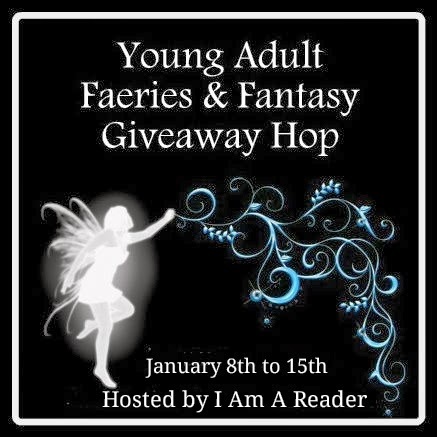 The 3rd Annual Young Adult Faeries & Fantasy Giveaway Hop has started! Who doesn't like fantasy or fairies? We love em'! What better way to escape the cold winter weather than to curl up with some hot cocoa and a fantastical tale, right? This hop is hosted by Kathy from I Am A Reader and ends on midnight January 15th. There are over 80 blogs participating in this hop. Here's the link to see them all! Here's proof we met Maggie Stiefvater. She's holding our newly signed books! Reader Girls are doing something different this time. We recently went to an excellent book signing where we listened to, were enchanted and entertained by the one and only Maggie Stiefvater! If you've seen the author before, you'll know what we mean. She's a character and we loved meeting her. So we are going to give away to one lucky reader a SIGNED brand new paperback copy of Maggie's fantasy book, The Scorpio Races. We bought an extra copy to give away and here it is! Even if you've read the book, this is NEW and signed by the author so just enter! Our giveaway is open to US readers only (high postage costs-we apologize to international readers). 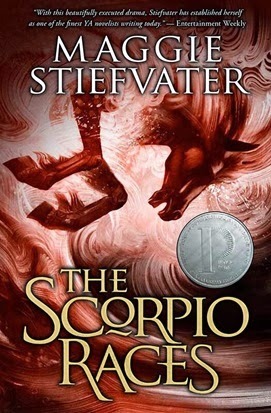 Maggie Stiefvater is my favorite author! I loved the Wolves of Mercy Falls books and this books sounds like it won't disappoint either! Thank you for the chance to win! You are welcome, Melissa! Good luck!